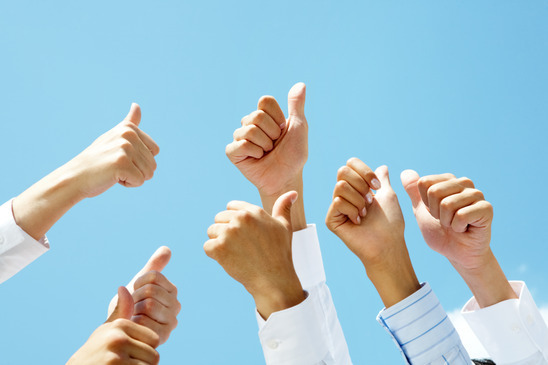 Ask For a Positive Reviews From Happy Customers? Start With Google Places! With so many people searching for a product or service online it is important people that people read positive things about you isn’t it? It does help you make a decision between one organisation and another. Look at the trust with feedback left on eBay. Would you prefer to deal with a company that has twenty positive reviews or business with no information on how you treat people? With Google places now automatically adding your business to the search engines for people to leave reviews shouldn’t you take advantage of this? If like me you think YES then follow some simple tips to obtain these positive reviews. You might even win some NEW customers! Google Places is a tremendous marketing tool for your business, but most customers won’t know to leave a review for you if you don’t promote yourself and encourage people to leave honest, informative reviews. Here are a few ways to accomplish just that. Getting your first reviews can often be the hardest part. Consider contacting your best customers and asking them to leave you a Google Places review. Once a few have been left, future customers directed to the page will be more apt to leave their own review if they see lots of others. Utilizing your email signature can be a great way to direct customers to Google Places, any promotions you might be doing, or anything else you want your customers to see. Emailing newsletters (with the option to unsubscribe if your customers don’t want to be bothered) and encouraging reviews through call to action on your website can move leaps and bounds toward promoting yourself. If you’ve been making an effort to promote your business through social media, you already have a great network in place to encourage customers to leave Google Places reviews. Get the word out on your Facebook or Twitter and ask customers to leave their opinion. Integrate a CTA directly on your profile, background image, or cover photo. If your business has a physical location customers are exposed to, communicate to them while they’re there. Design business cards with a CTA linking to Google Places, and be sure to hand them out liberally. If you have punch cards or other forms of loyalty card that reward repeat customers, put a CTA on these to encourage your already loyal customers to leave you their honest opinions. You can even add a QR code for use with smart phones, allowing ease of access to your busy customers on the go. Even if you don’t have a physical presence, a QR code is never a bad idea, as more and more people are using their smart phones to access anything and everything. It’s important to always remain honest and not to leave fake reviews, or multiple reviews from the same IP address. Google can penalize your listing for such actions and remove such reviews. 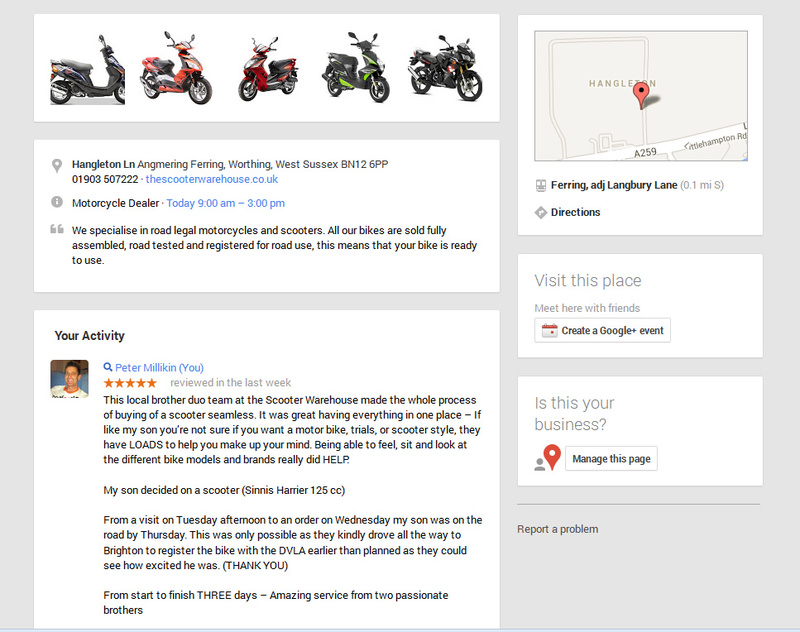 Here is a review I left on Google places for the www.thescooterwarehouse.co.uk. They recently sold my son a new scooter and went the extra mile to make sure he was a happy customer. A review might be as short as “Excellent Product” or “Reliable Service”. It’s more useful when someone leaves a more indepth review like I did for the scooter warehouse. Even though Google Places is probably the most important to focus on, take the time to collect reviews on other similar sites such as Bing, Yahoo, or Yelp. Having a presence in more than one location helps credibility.